Note that vehicle weight vary depending on options (e.g. automatic transmission, suspension type) and year of vehicle and is a guide only. The factory has stated different weights for the same model of car, for example. 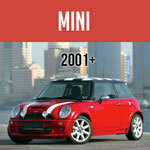 An old Mini may weight between 580kg and 660kg, and late-1990s models weigh approximately 700kg. Figures for length, width and height are the same for all Minis (including Clubmans except where specified) except Canadian models with safety-legislation bumpers Innocentis, Authis and Australian models which used differently-contoured body panels may vary in external dimensions (especially width and height) by a couple of inches. sa mini man, To get such information you'll need to find someone with a Clubman and take the measurements yourself, or post your question on Mini Mania's Forum and see if you can get someone to do the measuring for you. good day I am looking for the full body measurements of a 1980 clubman. meaning the height of the dash above the floor, the distance between the firewall and the shock mountings. 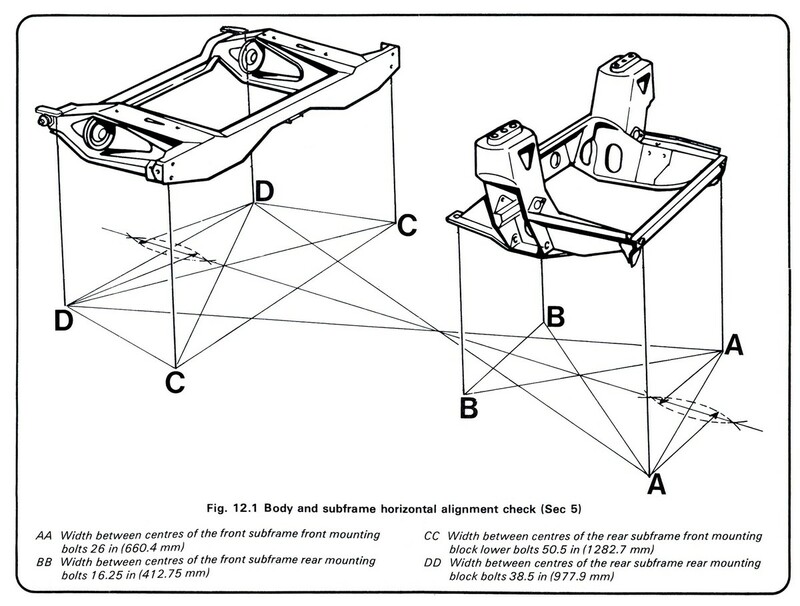 distances between seats and dash, roof and back and any other measurements not mentioned above that can be used to draw a full scale drawing. It is needed for a design project. Hi, can anyone tell me if a clubman door is the same dimensions as a standard mini clubman saloon door. ( e.g.estate clubman door going on to a clubman 1275 shell). Thanks. Keyless. Not a very good place to post a question that has nothing to do with Mini dimensions! I suggest you post on Mini Mania's Forum. Much bigger audience. bkey, Any door can be made to fit any Mini; however, it can be a LOT of body work in some cases. The basic rule (with an exception of some Australian doors) is if the car doors have external hinges, then external hinged doors will fit. If the car has internal hinges (as yours should), then internal hinged doors will fit. Just wondering if someone could confirm that I could put a door from an older or newer version mini, onto my 1977 leyland? Del, Because it is all welded together, one could say it is not easy to "dismantle." It might be easier to widen the doorway! How easy is it to dismantle the body shell of a mini?I need to get it through a doorway approximately 3 foot in width and so need to dismantle it. ekovacs, the full power unit is usually quoted at about 330 pounds or 150 kg. Approx. 330 lbs. for the full power unit. Good question. I've not seen any factory specifications, and they may be meaningless anyway. Towing limits can vary depending upon where in the world you live. You might try posting on this web site's Forum for an answer. And don't forget to mention where you are. I don't have a Van to measure, but a quick measurement of the inside of an Estate behind the front seats gives approximately 48" length, 45" width and 32" high. Check Mark Forster's web site. http://mk1-forum.net/index.php There is a current thread there under General called Very Rare Item that is discussion this, ahem, interesting item. It's a good idea - you gotta start somewhere, but buy the best Mini you can so there are no major problems. hi, im 15 and ive got enough room in the garage and a dad who can weld, is it a good idea to buy one as a project and do it up? ive never done one before but im a real mini fan, is it a good idea or just a massive waste of money? many thanks. Does the width include the mirrors? michael, There would be no question of your being able to fit in any of the older Minis up through the 1970s. Even into the 1980 there shouldn't be a problem. By the 1990s, most of the cars had much thicker seats and head room started to disappear. At 6-2 I still fit OK, but as one brought up on the Mk I and II sliding window doors and thinner seats I do notice a difference. There's room in the later cars. Just not as much of it. The issue would be more of one of whether you were comfortable or not. There's plenty of room, but the seating position and its relation to the steering wheel and pedals is not like anything else you've driven, I would guess. There are accessory parts that can help for the taller drivers (like seat extensions to allow most seats to be slide back farther), but your best bet is to attend a Mini show or any British Car show and see if you can talk your way into sitting in different Minis -- it's usually not a problem with owners. im 6 ft 4 inches tall would i be able to fit in an original mini ? Oscar, Sometime back one of the Mini parts suppliers sold a towing bar with a "Y" to hitch to the towing vehicle. I don't know about newer minis but older ones had towing eye-bolts; these had to be removed the holes enlarged to allow a thicker/stronger bolts that supported the towing contraption. From this we can deduct that with a properly manufactured tow bar you can tow your Clubman. For long distances thou trailering is better than towing. 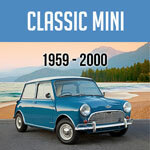 what was the last year of the classic mini was build and where? I am in the process of rebuilding my clubman,it is fitted with a toyota 4age motor with a few internal mods, its a problem loading it on a trailer,cause in RSA we only have big trailers, so my Q to you, can i fit 2 towing eyebolts to the subframe in the front where it bolts onto the body, so that i can fit a a-frame to tow it with? Q:I have a 1983 Mini City 998cc what is the total weight i can tow? This question has 3 answers really dosn't it? Part 3/ Scientifically......ummm...HP x geartrain x transmission losses x coefficient of friction x incline in degrees....throw in the density of the fluid you want to tow it in, presumably Earth's atmosphere? add a few fudge factors, ask yourself if the towbar is strong and you will probably come up wiv....oh I dunno... about 4 passenger/peoples weights worth of load downhill with a good wind behind you! Uphill...chuck out one of the passengers and slip that clutch! I have a 1983 Mini City 998cc what is the total weight i can tow? No, it was a two door saloon. No hatch, just a boot. was the normal mini really a saloon? wanen't it a hach back?